As we round the bend to Diwali, the fashion frenzy hits an all time high. This weekend started off with Evoluzione presenting an exclusive preview of the Judith Leiber Couture collection. 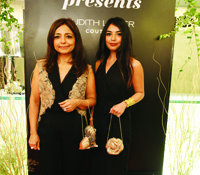 In a fun departure from the usual, the evening saw mother-daughter duos walking the red carpet, showing off the iconic minaudieres. Chosen to suit their personalities, ladies, in some cases across multiple generations, posed with everything from swans to lions, to the popular rose, as their friends and families cheered them on. While the yummy mummies did justice to their stunning accessories, it was the little ones who totally stole the show. 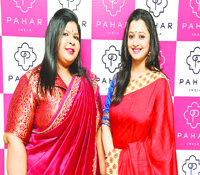 Following quickly was Pahar with the launch of their latest collection Avimukta in a dramatic show that included a theatrical performance as part of the fashion sequence. Conceptualised and styled by Harsha Vardini and Parkavi Ramasamy, the line incorporates exceptional weaves from all over the country, inspired by the different facets of Varanasi. And finally, it was the mena��s turn with the launch of Dennis Morton, at the Taj Club House, presenting a range of silk shirts for men. Originating in Kerala, the brand hopes to bridge the gap, bringing it from a�?festive weara��, to having a wider range. The gentlemen also got to have their turn in the limelight, showing off a variety of silk shirts, with intricate detailing. Actor and brand ambassador Rahman was the showstopper, officially launching it in Tamil Nadu. This weekend also saw the lead up to and the finale of Cinema Spicea��s Mr and Miss Spice pageant. 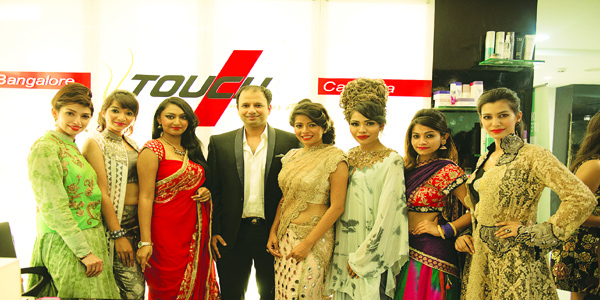 In one of the pre rounds, contestants showcased Anuradhaa Bisania��s festive collection, along with hair and make up looks for the season, at Touch Makeover Studio. The finals at Confluence Resort, saw a talent round, where participants gave us everything from acting to martial arts, and even a little speed painting. Mentors Sunil Menon, Pradhayini Sarvothaman and Arun Venkatraman crowned the winners, Shweta Gai and Raaj Saravanan, who are looking forward to taking their first steps in the modelling business. Elsewhere, Torobaka, the contemporary dance performance by the duo Akram Khan and Israel GalvA?n, had the audience mesmerised with their intense and fiercely graceful collaboration of kathak and flamenco a�� the ghunghroos and bare feet in sync with the heeled foot tapping of the Spanish dance form.